VANCOUVER – The Team BC delegation of 354 athletes, 52 coaches, 22 mission staff and 27 managers and technical support staff garnered a record 146 medals at the 2017 Canada Games that concluded Sunday in Winnipeg and two-thirds of those podium berths were recorded by athletes registered with the Canadian Sport Institute Pacific or an affiliated PacificSport Centre. Team BC featured 130 registered athletes who have accessed benefits, programs, services and other resources provided by Canadian Sport Institute Pacific and/or its affiliated regional centres (Engage Sport North, PacificSport Fraser Valley, PacificSport Interior BC, PacificSport Okanagan, PacificSport Vancouver Island). Of the 146 medals won by Team BC, registered Canadian Sport Institute athletes contributed to 96 of these medals; an extraordinary 66 percent. Seventy-three registered athletes on Team BC won a medal in Winnipeg, including Penticton’s Tyler Wall, who took home an impressive nine medals (four gold, two silver, three bronze) in Swimming. Also of special note was 2017 RBC Training Ground BC champion Avalon Westeneys, the Victoria product who won gold in all three Rowing events in which she raced. In addition to the registered athletes at the Games, 22 registered coaches from Canadian Sport Institute Pacific or an affiliated PacificSport Centre were members of Team BC. 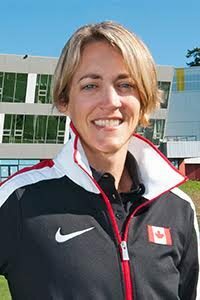 As part of the provincial sport system in BC, Canadian Sport Institute Pacific provides system and technical leadership at the national, provincial, and regional levels with the goal of increasing the number of BC athletes on national teams with the potential to win medals for Canada. Through the Canadian Sport Institute Pacific Performance Services and Talent Development divisions, targeted athletes and coaches have access to world-leading programs, services, and resources to enhance sport excellence. Canadian Sport Institute Pacific was also represented at the Games by two of its own staff members who served as Mission Staff on Team BC. Performance Services Coordinator Bianca DeSilva worked alongside Team BC basketball and golf teams, while Athlete Services Lead Drew Todd provided support to both Team BC soccer teams. Meanwhile, Kurt Innes, the Institute’s Talent Development Director, attended the Games with RBC Training Ground, a program designed to help sport officials uncover athletes with Olympic podium potential, in sports the athletes may not have considered. 140 athletes registered with Canadian Sport Institute Pacific or an affiliated PacificSport Centre competed at the 2017 Canada Summer Games, including 130 on Team BC. 82 of those 140 athletes (59%) registered with Canadian Sport Institute Pacific or an affiliated PacificSport Centre were medallists, including 73 on Team BC. 47 of those 140 athletes (34%) registered with Canadian Sport Institute Pacific or an affiliated PacificSport Centre won a gold medal, including 40 on Team BC. 116 medals were won by athletes registered with Canadian Sport Institute Pacific or an affiliated PacificSport Centre, including 96 on Team BC. 22 coaches registered with Canadian Sport Institute Pacific or an affiliated PacificSport Centre were members of Team BC. Seven current student-athletes or alumni of Canadian Sport Institute Pacific’s Canadian Sport School Victoria program represented Team BC. Five provinces had athletes registered with Canadian Sport Institute Pacific or an affiliated PacificSport Centre. Two members of Team BC’s Mission Staff were Canadian Sport Institute Pacific staff members.